Channel grunge vibes in a 100% wool sweater featuring gold lurex stars for some shine. 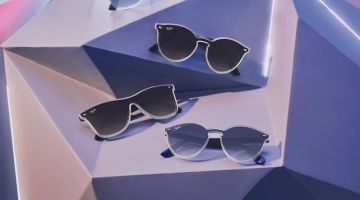 Saint Laurent’s spring 2019 collection has officially arrived online. The new season pieces designed by creative director Anthony Vaccarello channel rock and roll appeal. From sequin dresses to logo-decorated bags and casual t-shirts, these designs will add the cool factor to your wardrobe. See some of our favorites from Saint Laurent’s spring collection below, and shop even more at FarFetch.com. 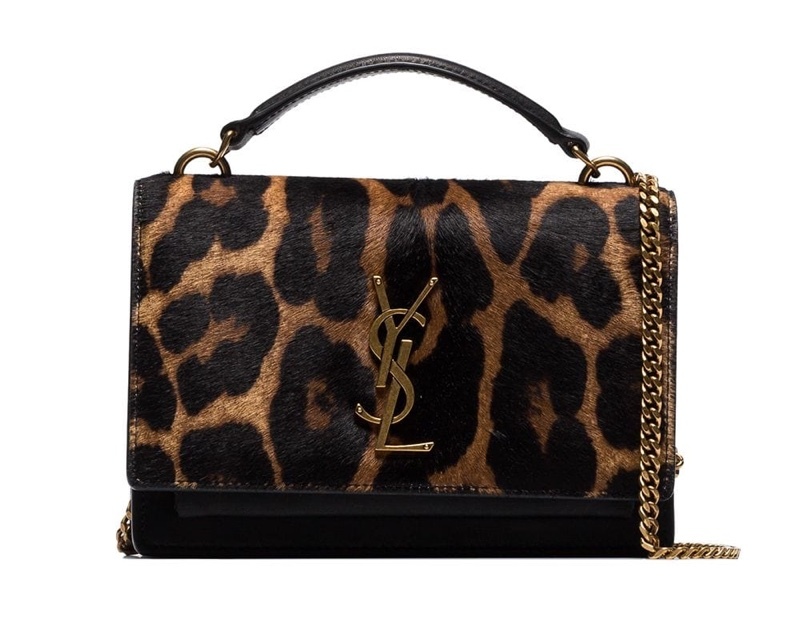 Take on the animal print trend with a spotted bag made with the YSL logo front and center. Show some leg in a sequin mini dress featuring crochet detail for a boho touch. 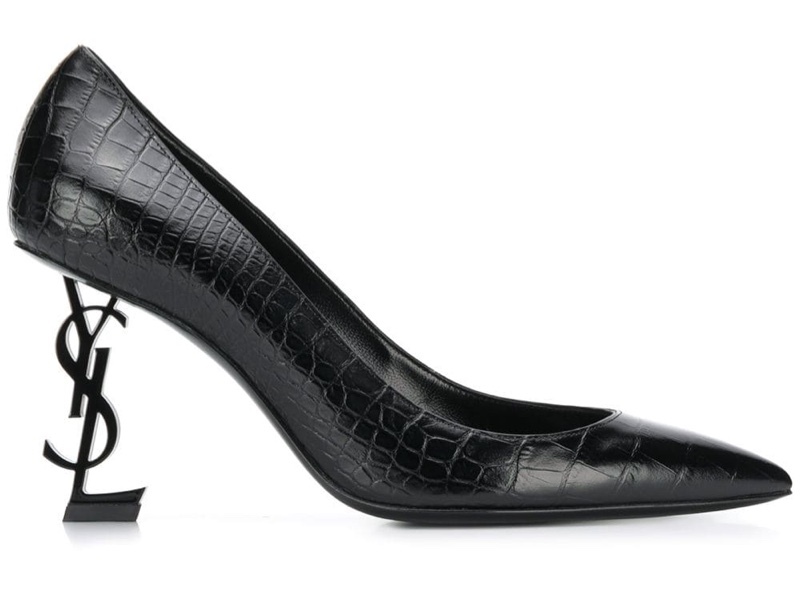 Made from 100% leather, these pumps feature the YSL logo as a heel. Miniature heart prints decorate a fit and flare dress with a pleated skirt. 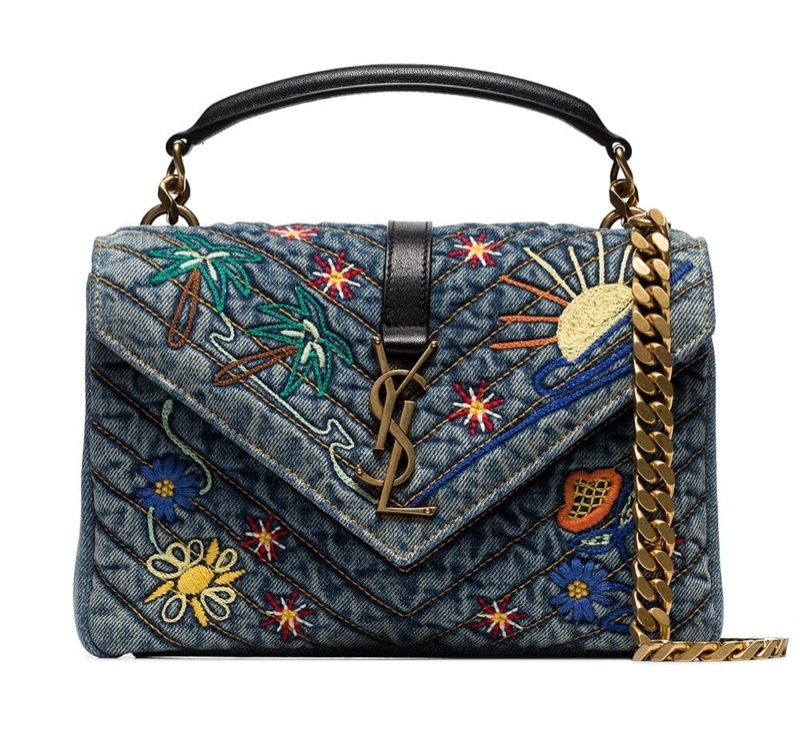 Featuring playful patches, this denim bag comes with antique gold hardware. 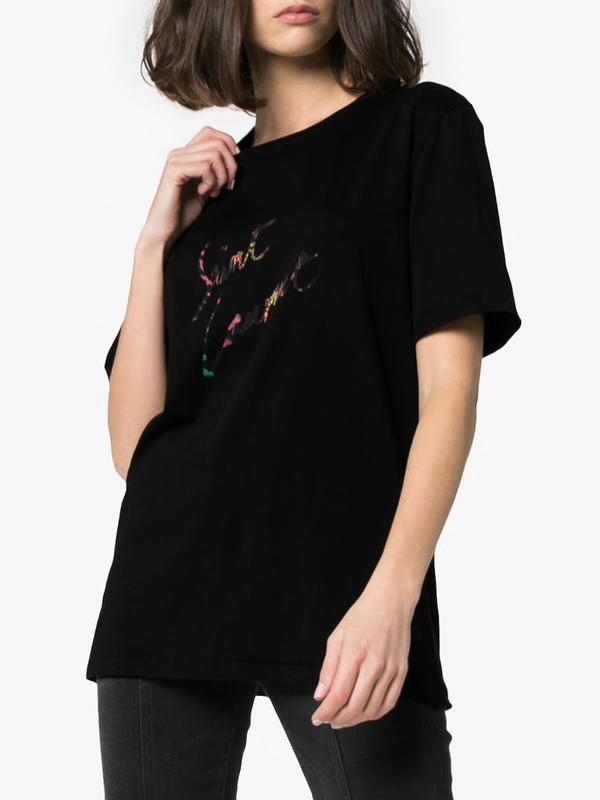 A cotton t-shirt features the Saint Laurent name in a cursive type. Fashion Gone Rogue takes part in numerous affiliate marketing programs, which results in commissions for purchases made using our links to retailer websites.